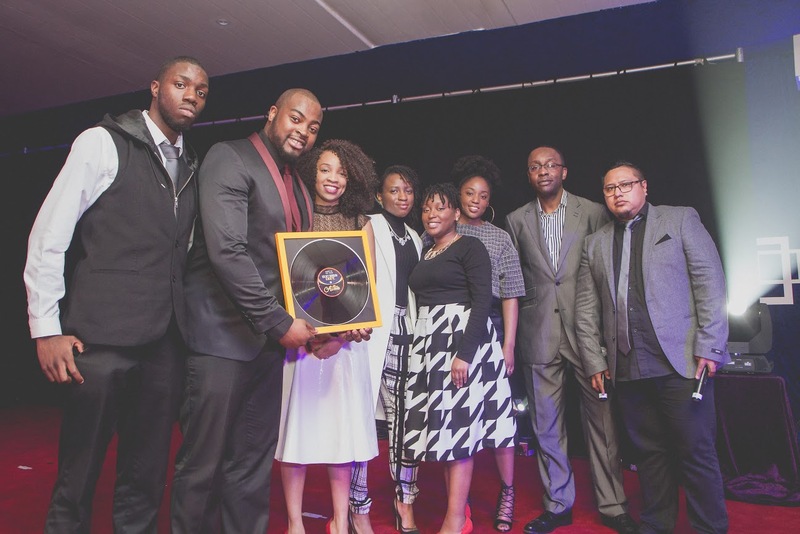 Last Saturday saw the first ever Premier Gospel Awards take place and what a night it was! It also marked the launch of This Is Gospel 2! 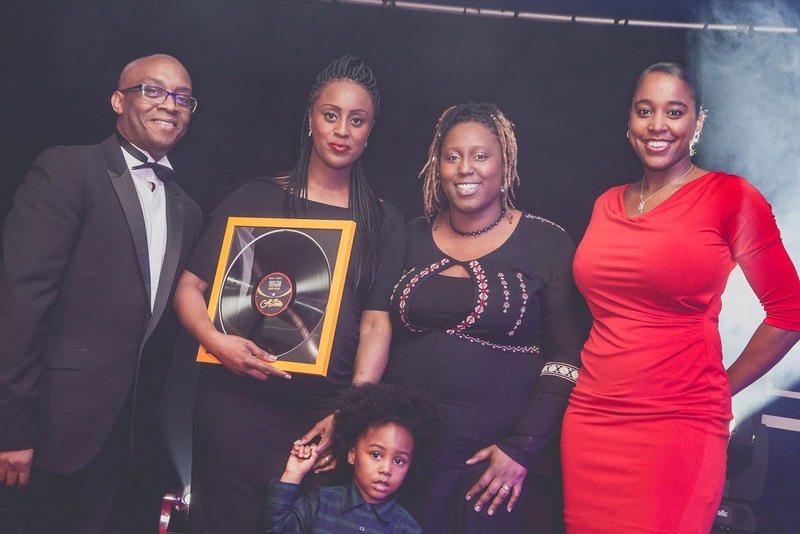 The sold out event saw around 2000 people gather together to celebrate the best in UK Gospel music. Artists, actors, personalities, industry professionals and music lovers were all in attendance. 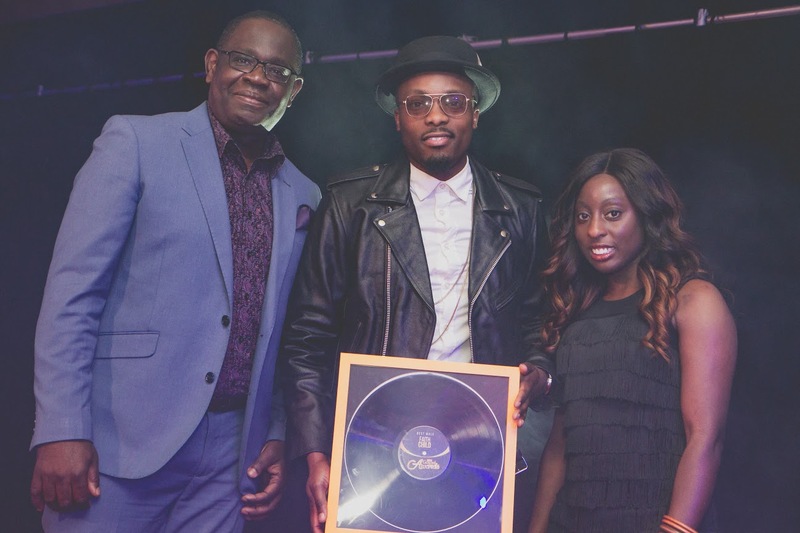 A total of 8 music awards were handed out on the night as well as special performances from standout Gospel artists. Check out the recap video here. The queue for the event filled up the whole street but once everyone was in, we saw a fitting start to the show. The music video for Channel Of Peace, the lead single from Premier Gospel’s new compilation album This Is Gospel 2 and also the theme song for the Stop The Genocide Campaign, was played to the audience. It was a touching reminder of the powerful meaning behind Gospel music, and how lyrics can be used to bring about positive change in society. Midlands artist Keiran Bygrave then stepped up to kick off the night with an explosive performance. The house band were a great element of the night and they kept the tempo up very well. Hosts Ibe & Selene were great all night and bounced off each other really well. They had the crowd in stitches with their jokes and renditions of old school African, Caribbean and British Gospel classics. 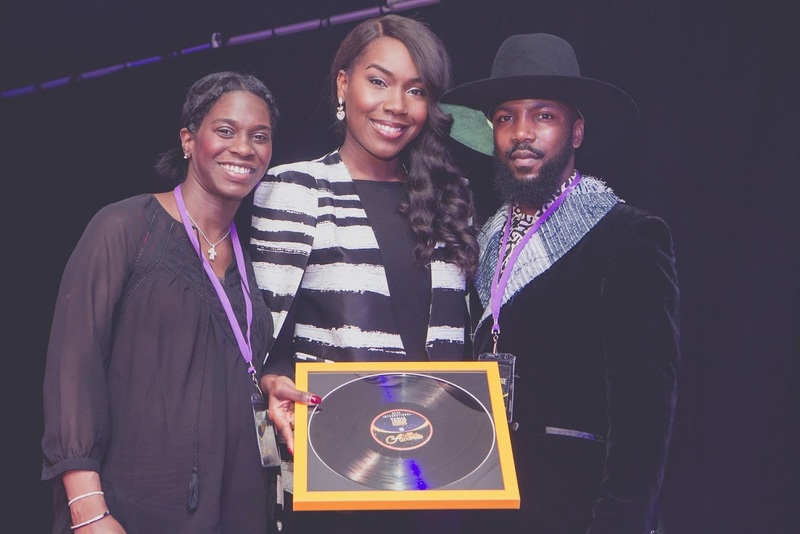 Awards were presented by our very own Premier Gospel presenters, as well as Eastender’s actor Jovian Wade and Arrow Benjamin, who recently wrote a number 1 record with Beyonce. 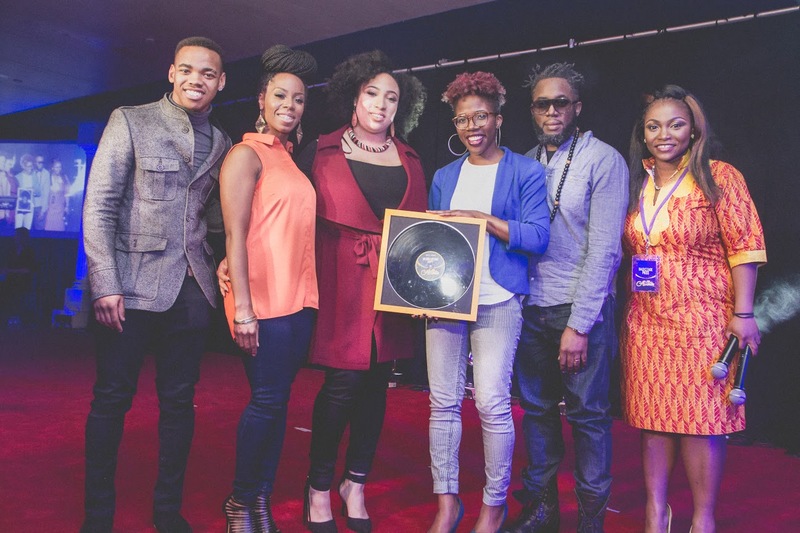 Rachel Kerr was in attendance to pick up Best International Act on behalf of Tasha Cobbs. Best Female was up first with Lurine Cato picking up the gong in this extremely tough category. Best Video was up next which was won by Ekklesia for their visual for ‘Where You Are’ which was directed by Shabazz Graham. It was then V9 Collective’s turn to take to their stage to perform their hit song ‘Happy’. The crowd were up on their feet and loving every minute of it! As soon as they left the stage, they were called back on to pick up the award for Best Song…a great moment. 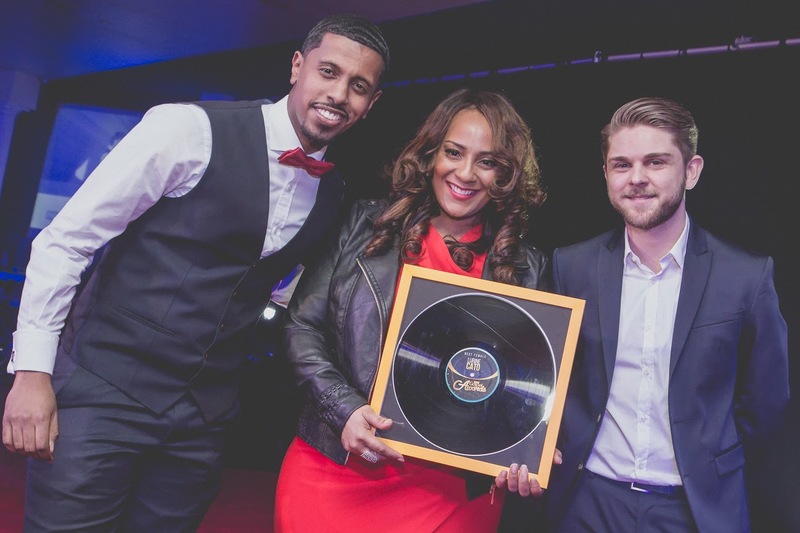 Categories were judged by a specialist panel featuring Juliet Fletcher of the GMIA, Marcia Dixon from MD PR, Ryan J Bruce of Glocal World entertainment, AStepFWD and Vinejuice, however Best Newcomer and Best International were voted for by the general public. 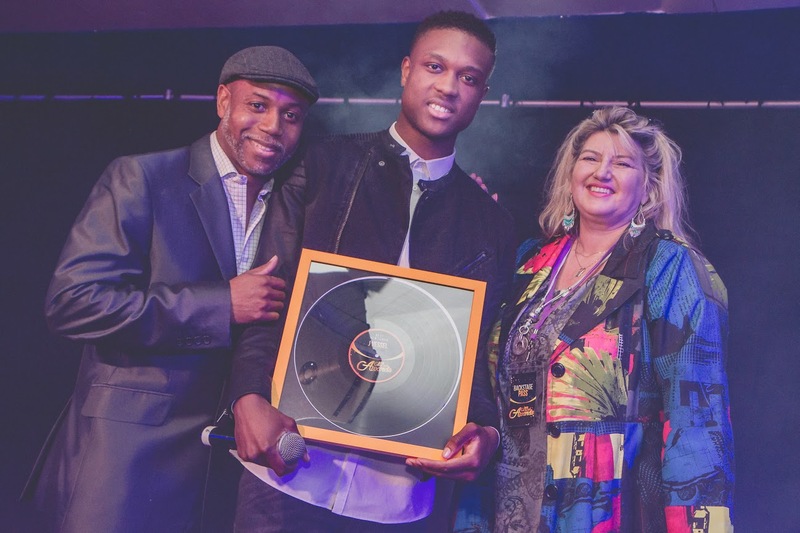 J Vessel picked up Best Newcomer and Tasha Cobbs scooped Best International as mentioned earlier. One of the highlights of the night was when Becca Folkes took to the stage. She performed an original song and went into a trap version of ‘Our God is an awesome God’. The energy in the room was incredible and most didn’t want it to stop! Back to the awards! Best Male was up next and this was a hotly contested award but Faith Child came out on top having had an unstoppable year with his album ‘Airborne’ being one of the most popular of recent times. He flew in from Slovakia to pick up his award and was joined on stage by his mother and older sister. One of UK Gospel’s premiere afrobeats artists then took to the stage in the form of Andrew Bello. He got everyone up on their feet dancing and waving their hands to keep the festivities going! 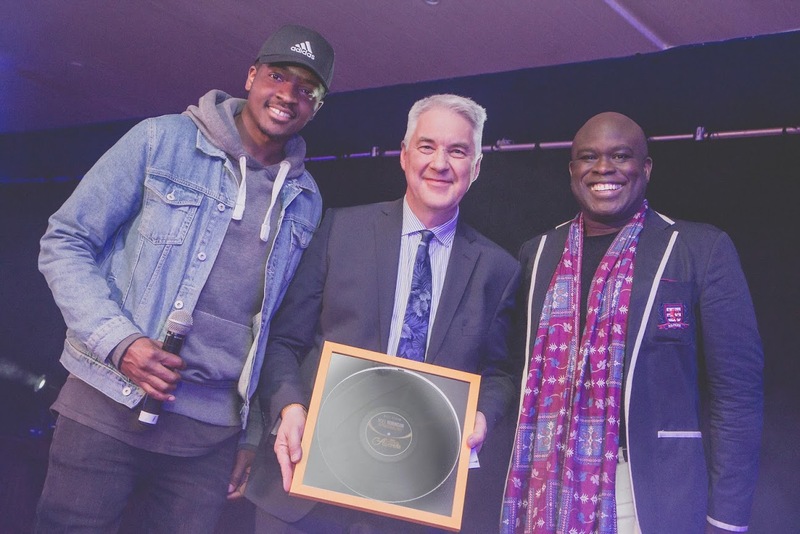 Choir of the Year went to Volney Morgan & New Ye and Best Album went to Noel Robinson for his record ‘Outrageous Love’. Noel was away on tour so Christian music legend Les Moir who is Noel’s A&R at Integrity Music picked up the award on his behalf. Muyiwa and Guvna B who helped to organise the event, thanked everyone for coming and then it was over to our Best Newcomer, J Vessel to close off the night with the DMU Choir! What a night and hopefully the first of many Premier Gospel Award evenings! Don’t forget, you can get a copy of This Is Gospel 2 on iTunes, Amazon, the Premier Shop and more. It features the best from UK Gospel scene and features many of the winners and nominees from the night.